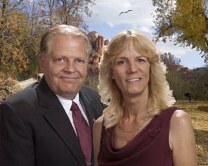 Selling your home or Land? 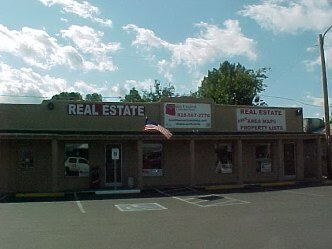 The data relating to Real Estate for sale on this web-site comes in part from the Internet Data Exchange (IDX) of the Sedona Verde Valley Multiple Listing Service. The information being provided is for consumer's personal, non-commercial use and may not be used for any purpose other than to identify prospective properties consumers may be interested in purchasing. 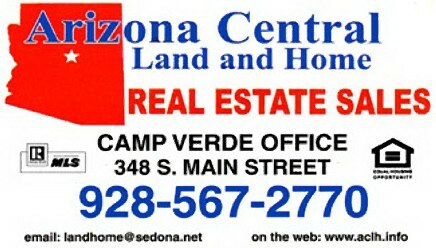 Sedona Verde Valley Multiple Listing Service The data relating to Real Estate for sale on this web-site comes in part from the Internet Data Exchange (IDX) of the Sedona Verde Valley Multiple Listing Service. The information being provided is for consumer's personal, non-commercial use and may not be used for any purpose other than to identify prospective properties consumers may be interested in purchasing. 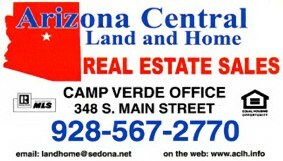 The Verde Valley elevation ranges from 3,133' at Camp Verde to 3,300' at Cottonwood. Ideal weather conditions allow plenty of time for outdoor activities. The annual precipitation averages" and daytime maximum temperatures range from 58 degrees in the winter to about 100 degrees in the summer. Clean smog-free air and blue skies exist throughout the Verde Valley. This high desert region exhibits virtually every type of terrain. Large green cottonwood trees grow abundantly along the Verde River, surrounded by the Mingus Mountain range, the red rocks of Sedona, and the deep canyons. Some of the most awe inspiring scenery is found surrounding the valley. Some of the area attractions include Montezuma's Castle National Monument, Montezuma's Well National Monument, and Tuzigoot National Monument.